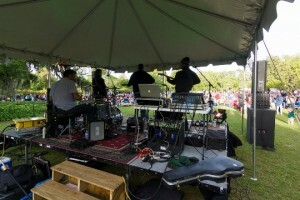 Airlie provides a stunning backdrop for music on the first and third Friday of each month, May through September. Experience all kinds of music including pop, bluegrass, jazz and reggae. Parking is off-site at the Old Cinema 6 at 5335 Oleander Drive. A free trolley shuttle will take you to Airlie Gardens and back.